There may be a major trade show happening this week, but it's still Update Wednesday. 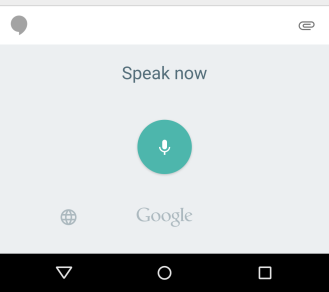 Google has updated its 'Google' app (formerly known as Search) to version 4.1. We are still digging around for new features, but we've already found a few goodies and put the APK up for your enjoyment. 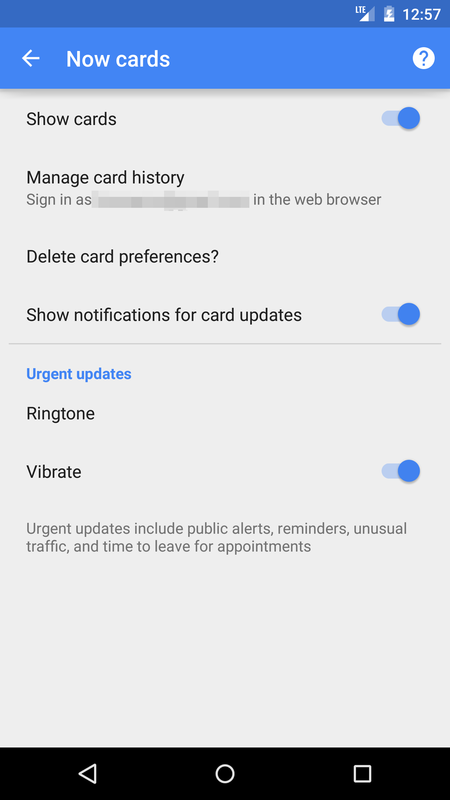 First up, there's a new space in settings called "Now Cards," which - as the name suggests - gives you control over the cards Google presents to you. Users can toggle cards on or off entirely, see their card history on the web, delete all custom preferences, and control notifications and how urgent updates are handled. Google has also revised the lock screen toggle for always-on hotword detection. 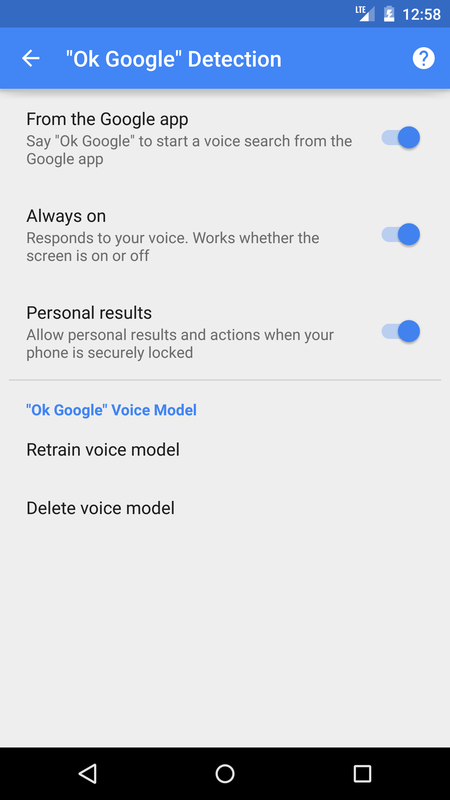 The "When locked" option in the "Ok Google" Detection settings has changed to "Personal results," making it a little more clear that - if the toggle is on - your personal info and actions will be accessible from secure lock screens. In previous versions of Search, even if the toggle was on, some personal information (like calendar appointments) wouldn't show up if search was triggered from a secure lock screen (thanks Techniq). One reader has pointed out on Google+ that nine new Indic languages have been added to Google's repertoire, including Telugu, Malayalam, Kannada, Tamil, Gujarati, Marathi, Punjabi, Oriya, and Hindi (thanks Chakravarthy!). 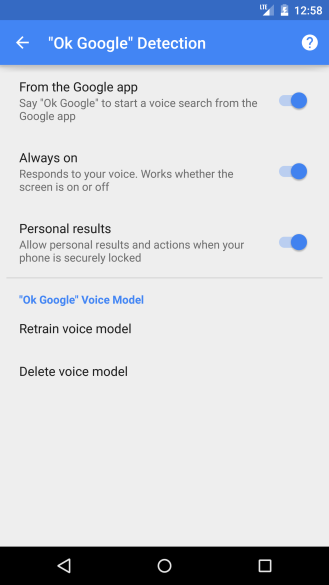 Voice typing has received some attention too, with a revised look and feel that better reflects Google's recent design philosophy (thanks Emran). 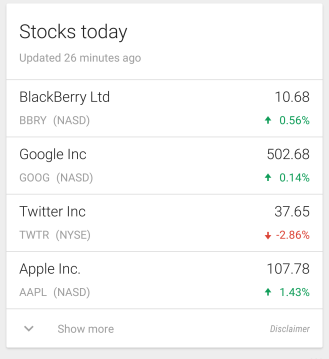 Additionally, it looks like there's a new layout for the stocks card, the weather card now reveals its sources, and the divider between the dock and desktop in Google's launcher once again has dots that change size, rather than color. Speaking of the launcher, the action of tapping an icon has also been changed. Previously, the icon simply reached up to meet your finger, increasing the shadow size below it. 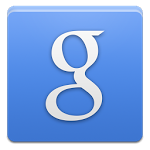 Now, the icon gets a lighter overlay on tap as well. This effect was actually already in the Launcher3 code prior to this update, but a bug prevented it from being revealed to the user. 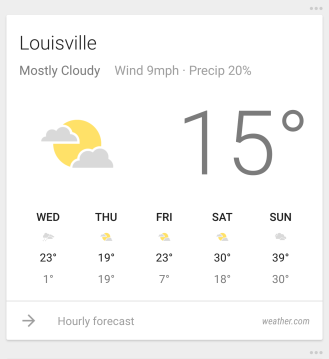 When a Google search is executed, the icons along the bottom - which allow users to jump between different result categories - have been given a darkened, more contrasty look. 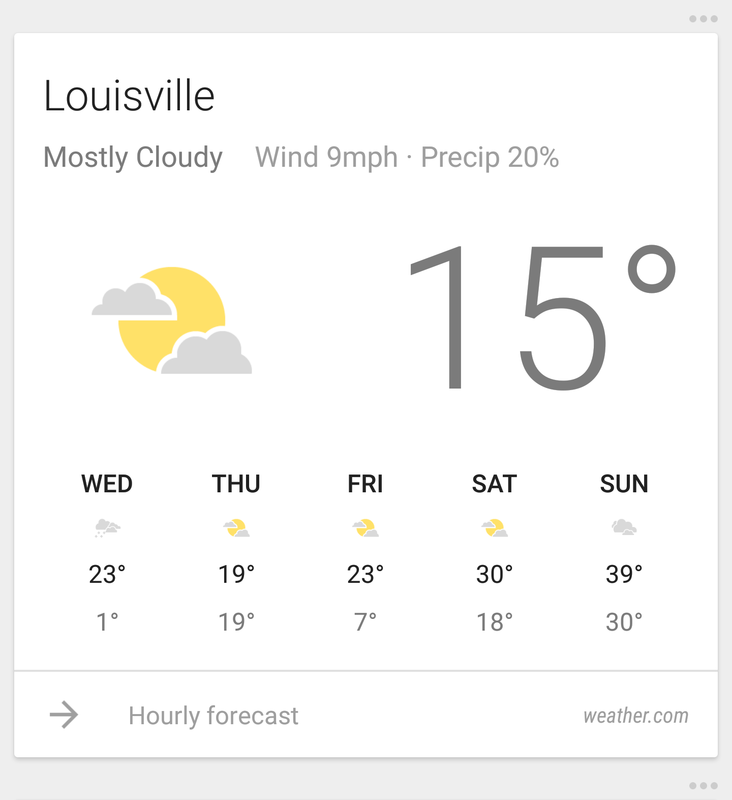 It appears that the Google app also allows for more fine-grained data management now, too. 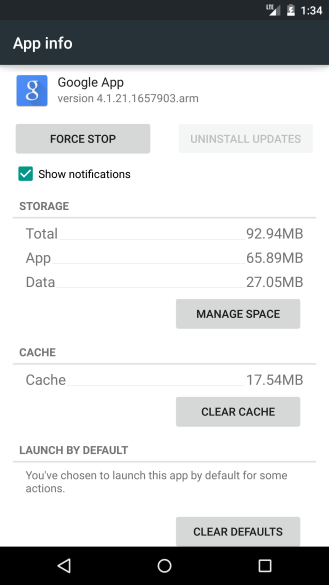 Opening the app's info in settings reveals a "manage space" button not present in its 4.0 iteration. 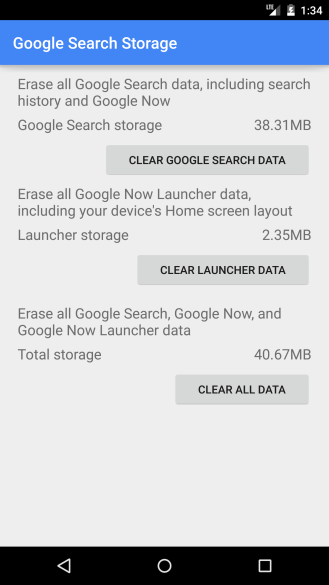 The button leads to controls for two different kinds of data the Google app uses, with the option to clear any or both categories. Notice any other new bits? Let us know in the comments. In the meantime, you can grab the APK from APK Mirror below.